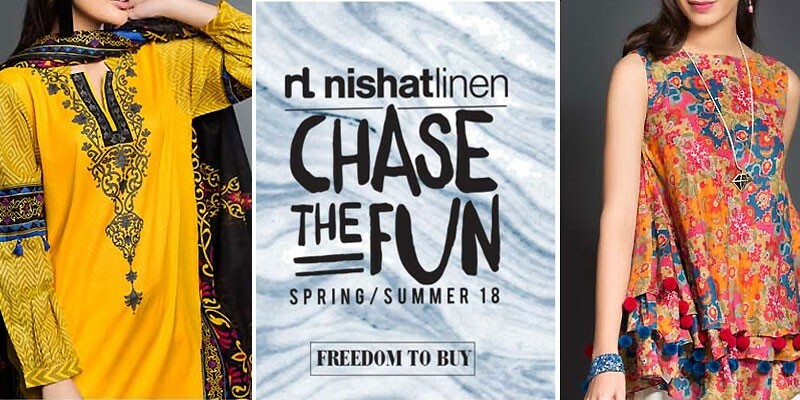 Nishat Linen Spring Summer Collection 2018 has already launched and is available in all Nishat stores, plus on their e-store for sale. Their lawn 2018 collection includes two-piece and three-piece suits, which are available in printed, plus embroidered varieties. A range of different fabrics are used in each dress, besides the lawn, and you can spot lawn dupatta, silk chiffon dupattas, crinkle chiffon dupattas, plain trousers, plus printed cambric trousers in Nishat Linen's summer range. 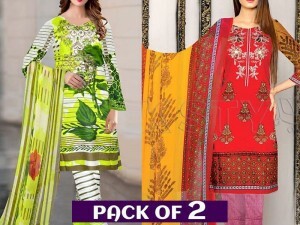 Just like the diversity of fabrics are used to create the elegant suits, they are available with different price tags as well, ranging between Rs 1750 to Rs 5900 each. This lovely Pakistani dress has a rich floral design in the hues of orange colored flowers with blue-hued leaves. 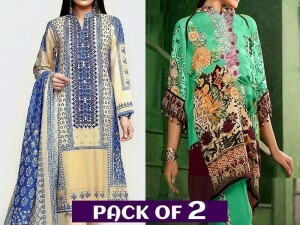 It has a matching print on the crinkle chiffon dupatta, which is very complementing to the shirt. The suit has a plain dyed cambric trouser and comes with a price tag of only Rs 4500. This light beige colored dress has a classic floral print that looks very appealing. It is a two-piece suit and comes with a printed cambric trouser in the same color as the shirt, with a price tag of just Rs 1750. This gorgeous three piece suit comes with a light beige colored shirt that is completely adorned with intricate embroidery. 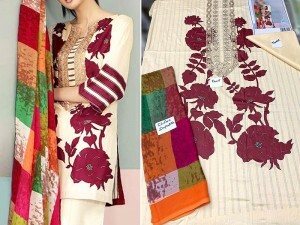 It has plain sleeves with pink colored embroidered patches to match the pink colored digitally printed silk dupatta that features large beige colored flowers. The suit comes with a plain dyed cambric trouser and has a price tag of just Rs 5900.